We think we're the only ones who understand that zero is less than one. Livescience.com (which brought the exploding rotten fish art story) says that dolphins, African gray parrots and nonhuman primates understand "zero". And that bees are considered to understand zero - with a brain of less than a million neurons (compared to our 86 billion neurons). 'The researchers set up two cards, each of which had a set of symbols on them, like triangles or circles. Then, they trained a group of the bees to fly to the card with the lower number of symbols. (The bees quickly learned what the humans wanted them to do to get their delicious, sugary rewards). The trained bees were then shown a card that was empty versus one that had symbols on it. Without any prior training, the bees flew more often to the empty card — thereby demonstrating that they understood that "zero" was a number less than the others, according to the study, which was published Thursday (June 7) in the journal Science. Today's pictures show our newest restaurant in Grimsby - Casa Toscana. 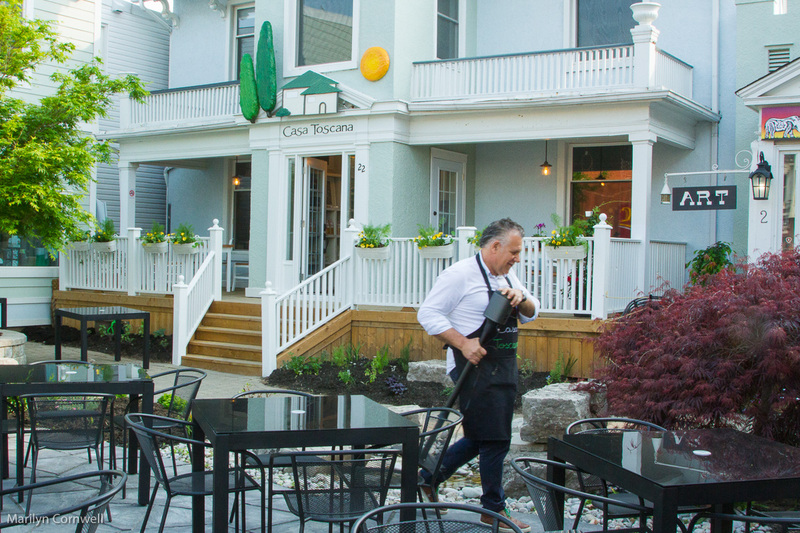 The beautiful turreted house in the middle of the downtown section used to be a real estate office and now is a lively patio/restaurant. 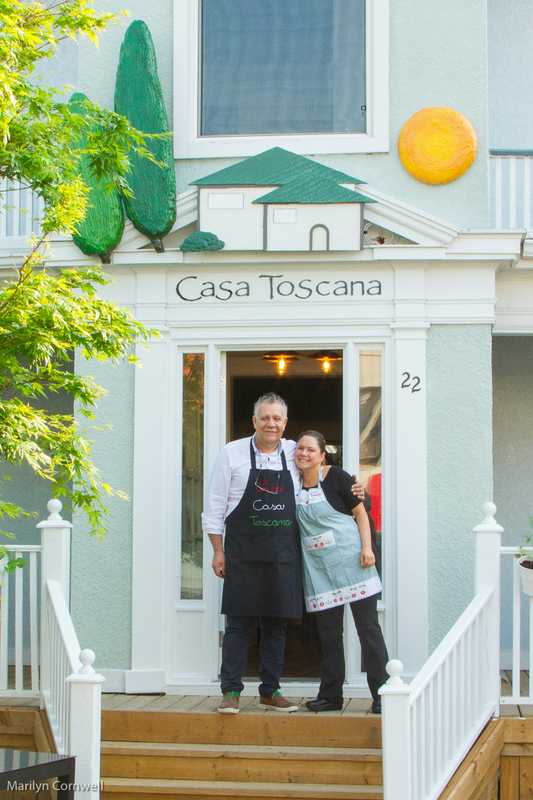 Luca Vitali is pictured with Therese de Grace, the chef previously with The Good Earth. Now we can savour fine food along with the finest extra-virgin Olive Oil and Balsamic Vinegar imported from his mother's farm in Tuscany. I planted the little herb garden for him out in front of the porch.